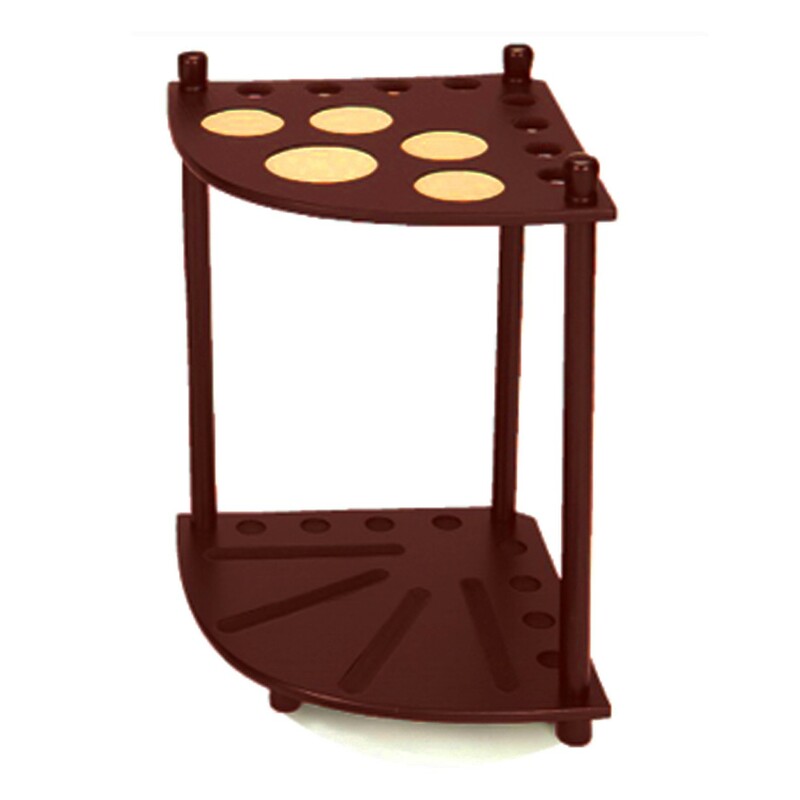 Solid wood corner cue rack. Measures 14" x 14" x 22" high. Holds 8 cues and a set of balls. Cork drink holders for 5 glasses. Available in Walnut or Black finish. Unassembled.